Wood Environment & Infrastructure Solutions is seeking an Office Manager for our Portland, ME office. Reporting to the Region Manager for the Northeast US Region, the Office Manager will act as the face of the organization and provide strategic, functional and financial leadership to the Portland office and a branch location in Rocky Hill, CT.
Our Portland Office offers full service Architecture/Engineering (A/E) and Environmental capabilities, with over 150 architects, engineers, scientists, project managers, construction managers, surveyors, and technicians. As one of Wood’s recognized A/E design centers, the office supports government and private clients locally and around the world on design efforts. Offering a full range of architecture and engineering capabilities (civil, mechanical, electrical, structural, fire protection, etc. ), our design teams routinely solve our clients most crucial challenges, whether new design or repairs/renovation/modernization across a wide range of facility and infrastructure types. The depth and expertise of the environmental operations in the Portland office make it a center of excellence for Wood. Our experienced professionals provide extensive engineering and compliance services across all major environmental media and federal, state and local regulatory programs. From site investigations and permitting, to complex environmental studies and system design, closure and decommissioning, and site remediation and restoration, our capabilities are tailored to support clients through the entire life cycle of their assets. 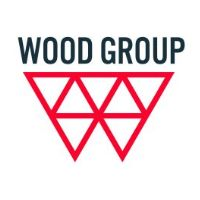 Both the A/E and environmental practices are built upon long standing client relationships and integration with Wood offices throughout North America, making for a strong and consistent business operating model. The ideal candidate will have current local market experience, and the ability to build on the Wood brand to present service offerings and develop new clients. A strategic leader, with the ability to form solid relationships with project teams and clients and the desire to grow and develop business will thrive in this role. Manage the successful performance of the Portland Office and Rocky Hill, CT Branch, oversee the development and monitoring of financial plans, provide strategic direction for the office and office personnel, coordinate local human resource and health and safety functions with corporate personnel, and provide leadership in business development efforts (also ensuring senior personnel continue to grow / diversify client base). Position will include execution of project-related work, as well as office management responsibilities. Project-related responsibilities will include project management, senior review and quality assurance of work products developed by the office staff. Successful candidate will work closely with other office mangers in the Northeast (Boston, Pittsburgh, Philadelphia, NJ, and Chantilly VA) and build strong, collaborative relationships with Strategy and Development leadership and other offices outside the Northeast Region.